INDIANAPOLIS, IND. (November 20, 2018) — Klipsch®, a tech-driven audio company, is gearing up for strong Black Friday sales. As part of that effort, the company is donating a portion of the proceeds to The Autumn Leaves Project, a nonprofit dedicated to aiding those battling pancreatic cancer. The goal is to raise at least $20,000 from Thanksgiving Day to Giving Tuesday — November 22-27, 2018. 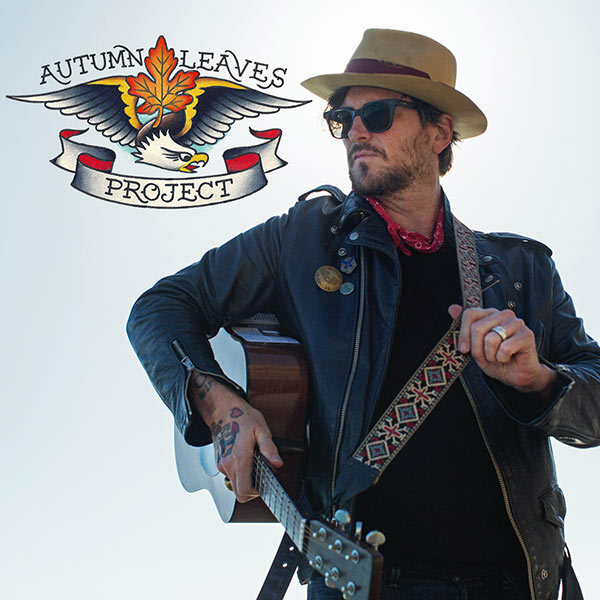 The Autumn Leaves Project was founded in 2013 by legendary singer, songwriter, and producer Butch Walker. Walker founded the organization after his father passed away suddenly from pancreatic cancer to optimize the quality of life for those diagnosed. “Pancreatic cancer doesn’t give you a chance to reconcile with it, doesn’t let you make plans sometimes or prepare for the ending; it just usually sneaks up on you and gives you no warning until it’s too late,” said Butch Walker. Walker is the first featured artist in the ‘Keepers of the Sound®’ video series from Klipsch. He has performed with, written, and produced albums for various artists including Taylor Swift, Train, Pink, Avril Lavigne, Keith Urban, Katy Perry, etc. Pancreatic cancer is very difficult to diagnose and there are currently no early detection methods. Of those diagnosed with pancreatic cancer, only 7% will live five years or more. More than 53,000 Americans will be diagnosed this year, and more than 41,000 will die. Pancreatic cancer is the third leading cause of cancer-related deaths. Symptoms are hard to catch. They include mild back pain, jaundice, fatigue and unexplained weight loss. This is currently no cure; however, the survival rate could be nearly quadrupled with early detection. Learn more about The Autumn Leaves Project at autumnleavesproject.org. Visit Klipsch.com for more information about this endeavor, the Klipsch brand, and its legendary speakers. In 1946 Paul W. Klipsch, inventor, acoustics pioneer and maverick, founded Klipsch Audio with the sole purpose of bringing the power, detail and emotion of the live music experience into his living room. Through the use of highly efficient speaker designs, handcrafted cabinetry and a thirst for real engineering breakthroughs – Klipsch, the great American loudspeaker company, was born in Hope, AR. Today, our diverse range of quality audio products includes speakers and headphones for almost any consumer and professional application – including cinema, whole-house, wireless, home theater and portable offerings. Honoring our founder’s legacy, Klipsch continues to be the legendary high-performance brand of choice for audiophiles and aficionados around the world. We are the Keepers of the Sound®. Klipsch and Keepers of the Sound are trademarks of Klipsch Group, Inc., registered in the U.S. and other countries. Klipsch Group, Inc. is a VOXX International Company (NASDAQ: VOXX).